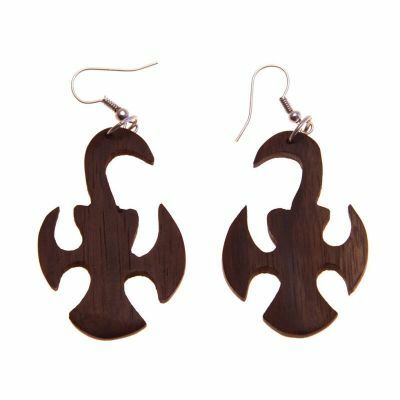 Because the products are hand-made, the colour or shape can vary a little bit. 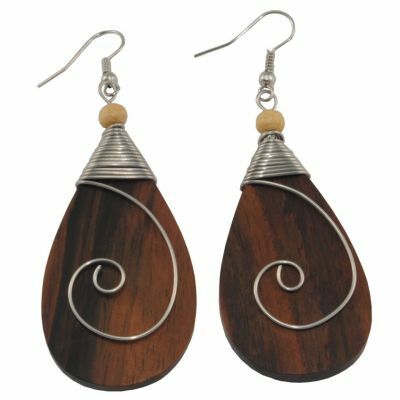 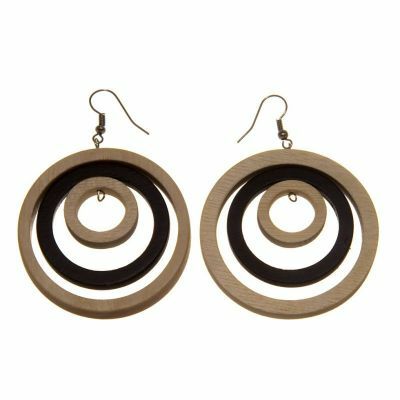 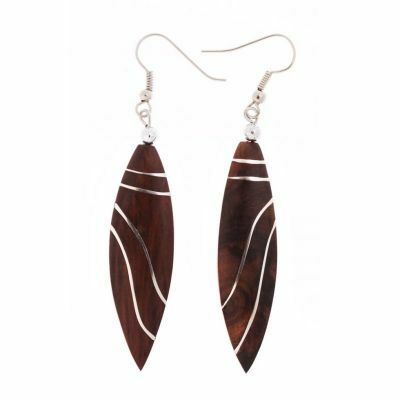 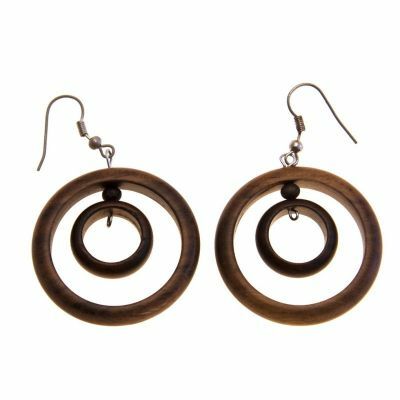 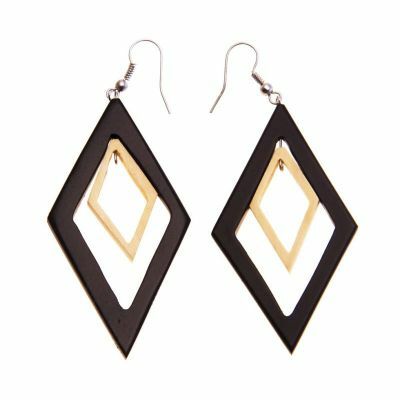 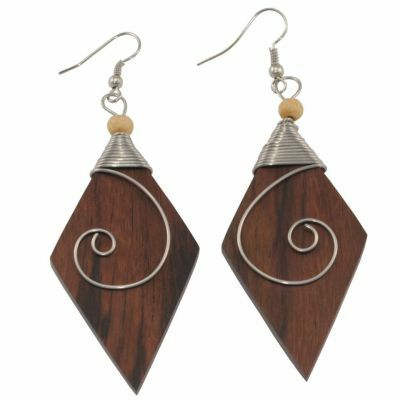 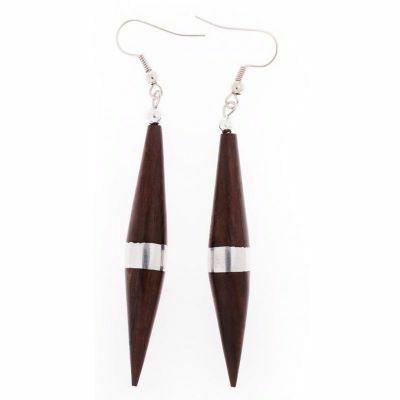 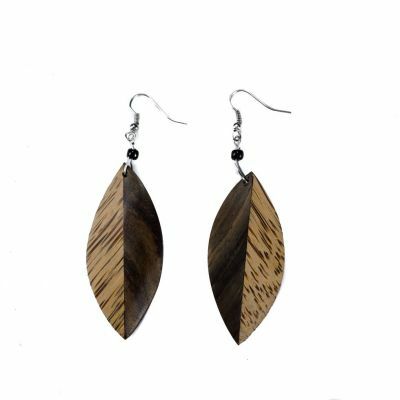 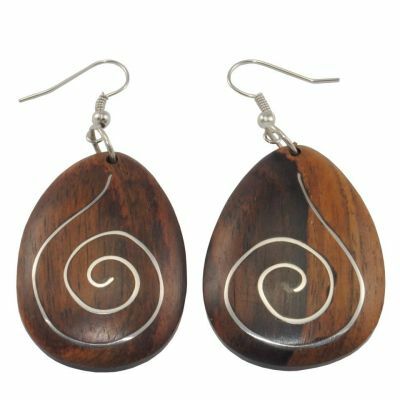 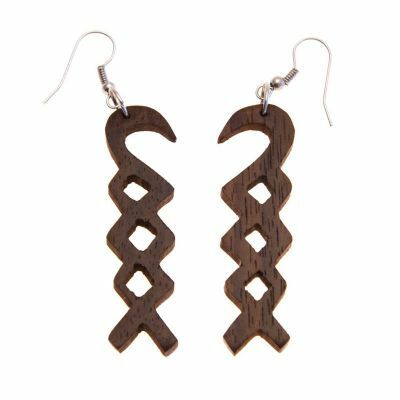 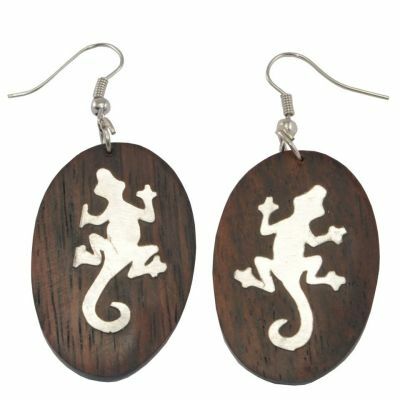 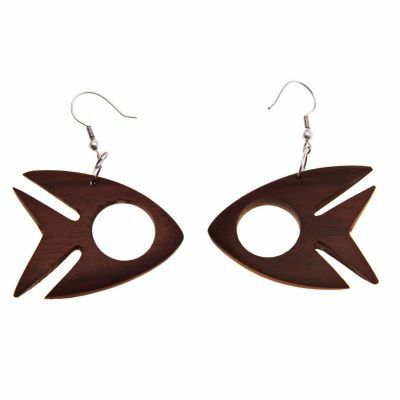 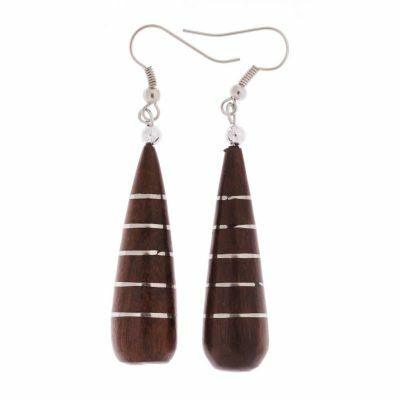 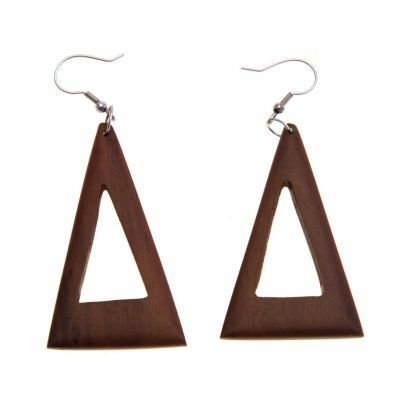 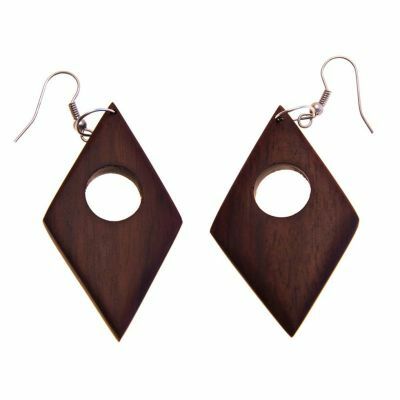 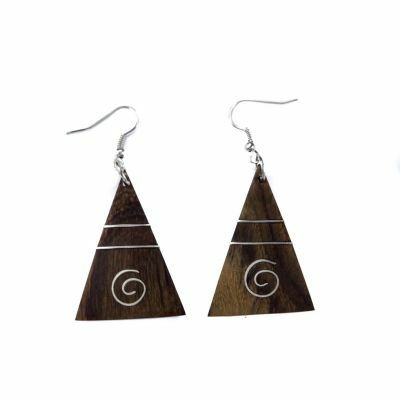 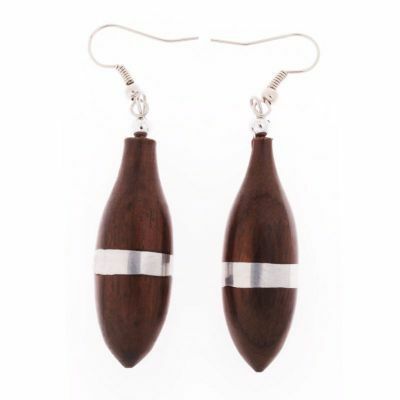 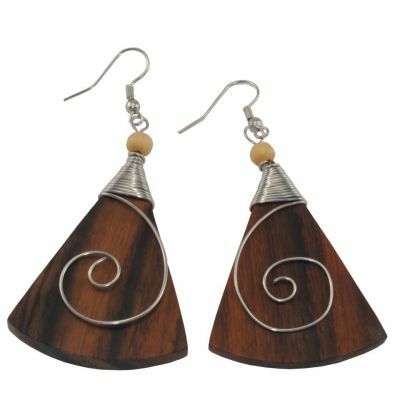 Wooden earrings decorated with surgical steel. 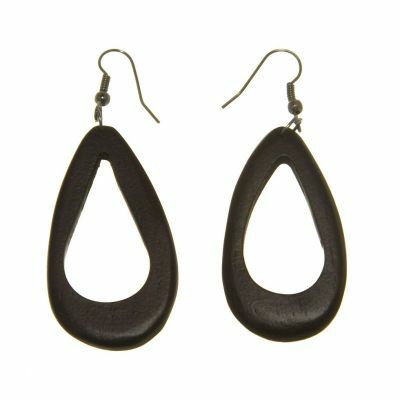 Size: 40 x 12 mm. 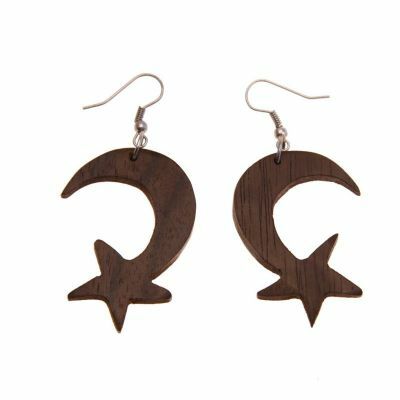 Country of origin: Indonesia. 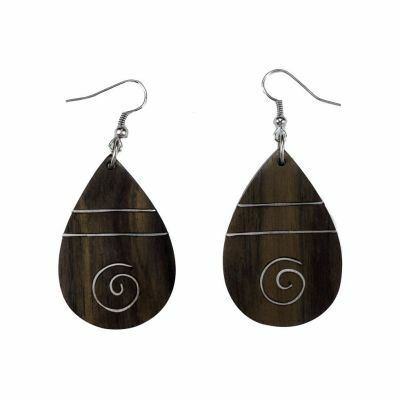 Wooden earrings decorated with surgical steel. 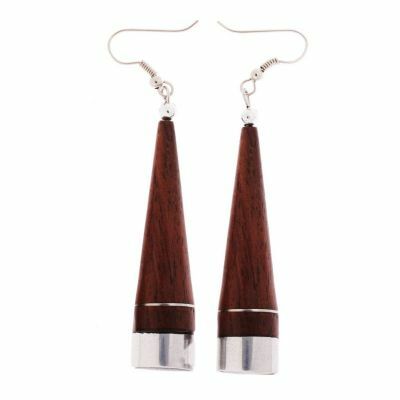 Size: 4 x 1,4 cm. 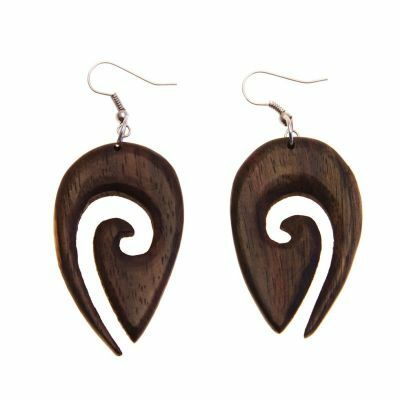 Country of origin: Indonesia. 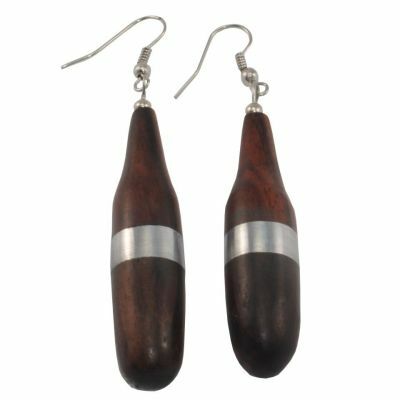 Wooden earrings decorated with surgical steel. 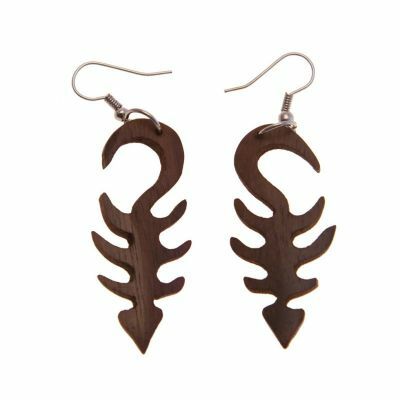 Size: 5,2 x 1,4 cm.Country of origin: Indonesia. 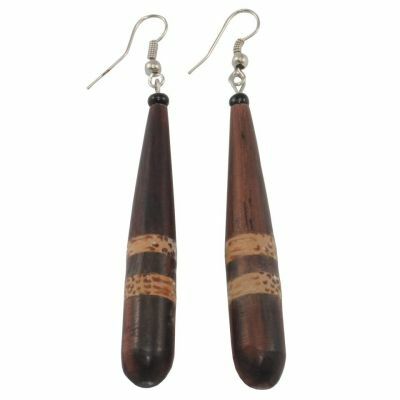 Wooden earrings decorated with surgical steel. 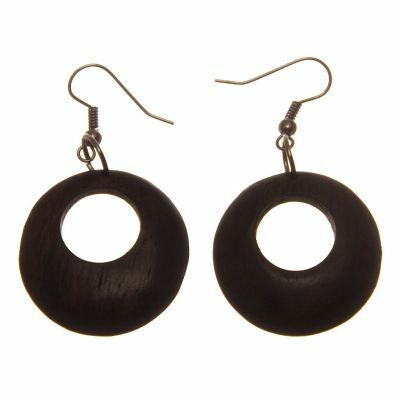 Size: .Country of origin: Indonesia. 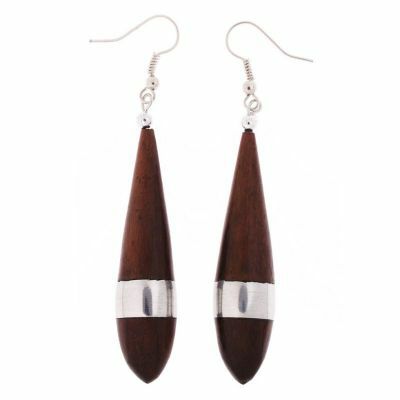 Length: 4.5 cm. 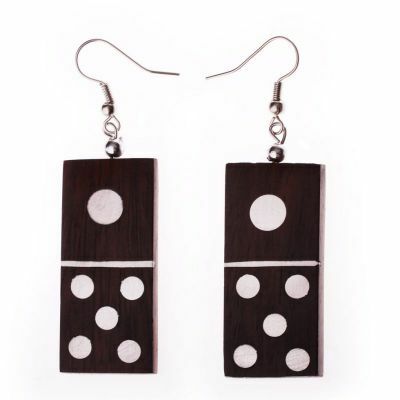 Available only in the beige option. 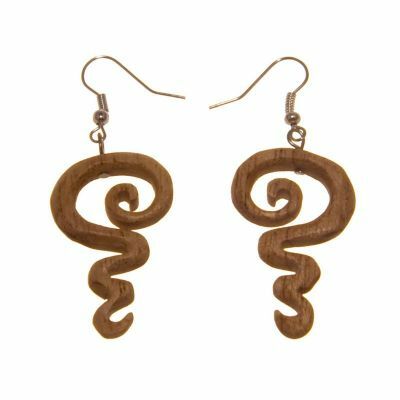 Size: 6,6 x 3,6 cm.